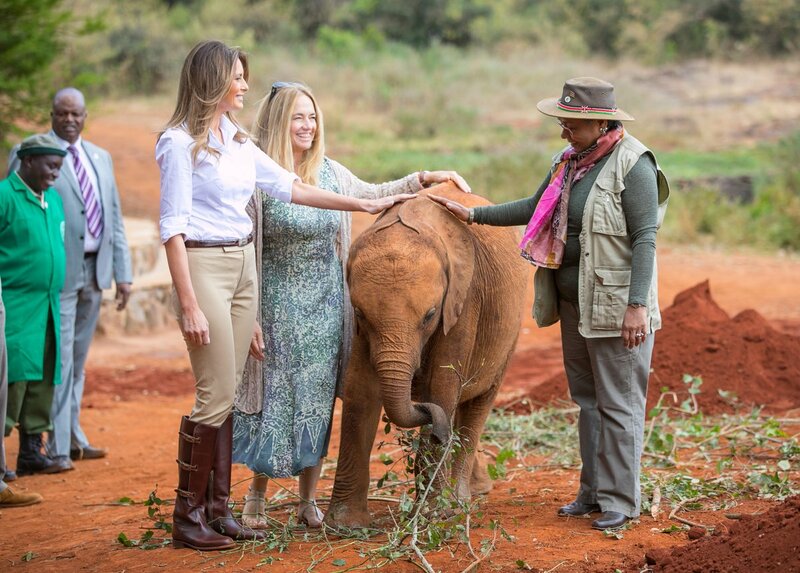 US First Lady Melania Trump was on Friday almost ran over by a baby elephant during her visit to the David Sheldrick Wildlife Trust. The FLOTUS momentarily lost balance but her secret service agent sprung into action, holding her up. 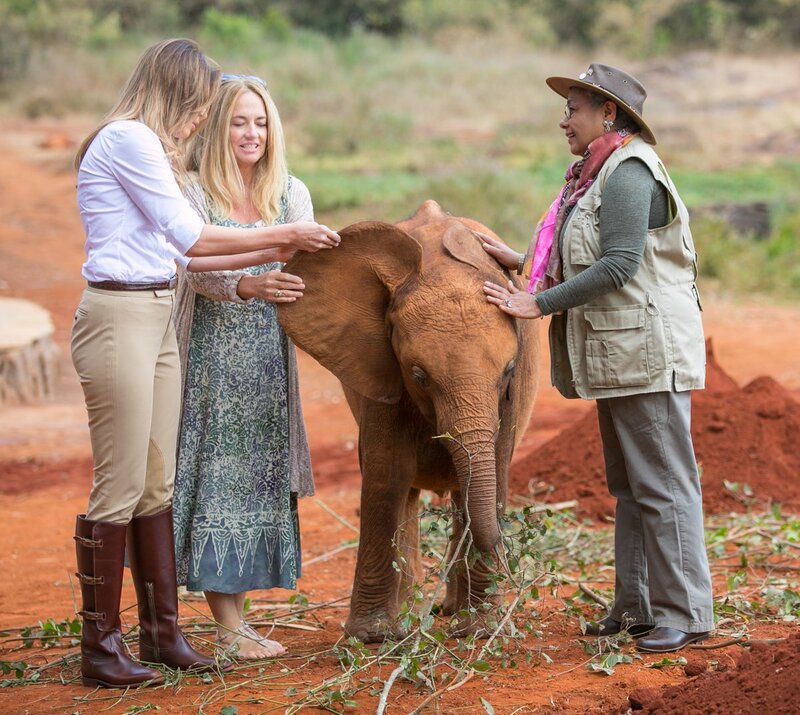 During the tour Ms Kenyatta briefed her US counterpart on the “Hands Off Our Elephants” initiative, a broad-based wildlife conservation campaign that targets to curb poaching in Kenya. She was accompanied by First Lady Margaret Kenyatta. Melania is on her first solo tour to Africa. She was in Ghana, Malawi and will on Saturday leave for Egypt. Her tour is supposed to highlight United States’ support in early-childhood education, HIV prevention and wildlife conservation. She is also championing her “Be Best” campaign that focuses on Children’s welfare just like Ms Kenyatta’s “Beyond Zero” campaign.